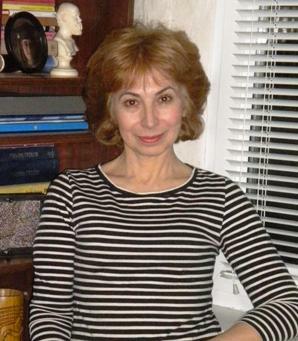 My name is Anita Fercheva, I am working as a clinical psychologist and psychotherapist. My everyday work in the University Psychiatric Clinic of the Alexandrovska hospital has given me experience in dealing with patients that have various psychological and psychiatric problems (psychotic, neurotic and personal). I also work with patients’ relatives, willing to participate in a joint effort to overcome the patient’s disease and its consequences on their everyday life. I have also experience in providing therapeutic counseling to people who are recovering from depression, panic attacks, stress, serious loss, violence and psychological and physical trauma effects. I work with people who experience insurmountable loneliness and isolation, long-lasting conflicts, negative behavior models or unsuccessful communication with people. I also work as a senior assistant at Medical University of Sofia since my graduation, as well as a part-time lecturer at New Bulgarian University (NBU) since its establishment. In this capacity I have been working with young people, who choose the hard training path in Clinical Psychology and Psychotherapy, the career path I chose myself. I am pleased to pass on to them my experience gained through the years. Therefore, in various work projects and international programs I often recruit and work with my former graduate students. The qualification I have allows me to lead individual and group supervisions – for specialist in training as well as for people practicing psychotherapy and counseling. My goal is to create an environment in which every client feels safe to share his or her problems, to give meaning to their behaviour and to find the path towards change.